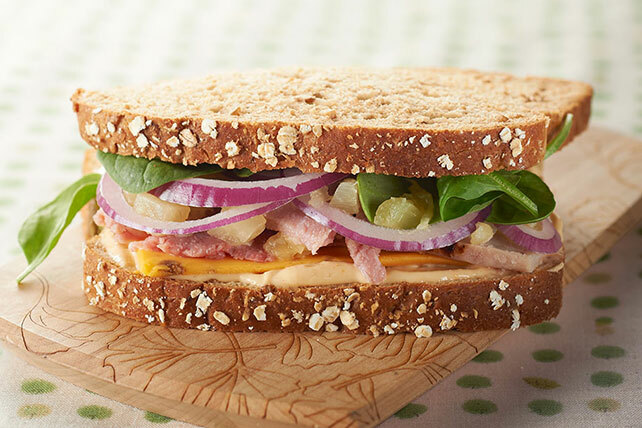 Make a splash with this out-of-the ordinary lunchtime idea. Chipotle Aioli brings the spice and pineapple brings the sweet for a surprisingly delectable sammy. Spread bread slices with aioli. Prepare using 1 split ciabatta sandwich roll. Fill half of your plate with colorful fruits and vegetables to balance out the meal.